but I can promise that if you tackle this one, you will naturally grow and be surprised by what you have within your own creative selves. So far, the design team and players have been beyond inspirational and I am thrilled to be doing the $50.00 gift code for this one. The winner will have truly earned it. [Plus there will be a little something extra for all who give this challenge a try]. Come on the journey and test your skills. Let's kick off round 2 of the inspiration. Hi everyone! 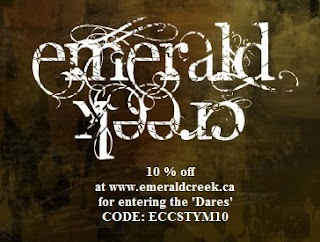 Are you ready for the next challenge on the Emerald Creek Supplies Dare Blog!!! I created two cards that I will be able to be used in the future..
My "double duty" card will fit many up and coming holidays or events. but then noticed that the bottom part of the stamp looked remarkably like a big splash of water and that led to this card! Pop on over to my blog for the how to and to see the fun surprise inside of my Make A Splash card, hope to see you there! My double duty project can be for someone that needs a little pick me up or would even make a lovely little something for Mother's day. To enter this month's Double Duty Dare, use the InLinkz below. Remember to follow the challenge rules as posted on the right sidebar of the blog, in order to be eligible. This is our toughest Challenge EVER! 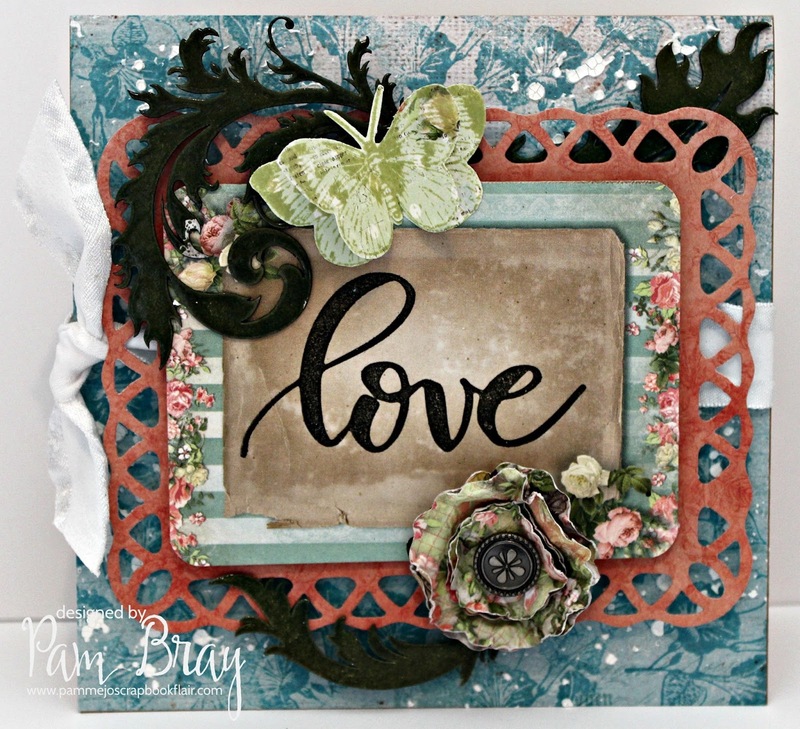 and I am sticking with the theme because I LOVE how it created inspiration. The purpose of this is to help all of us see our products differently. I must confess it initially came to me when looking at a skirt from Jessica's post Red Poppies to Remember where she used the Tiger Lily Stamp as a skirt pattern. So, to kick us off is Claudia and I am so excited. Sara, creates awe as she makes an |Easter pattern from a spider web stamp and then powder covered Easter eggs! I interpreted Double Duty to mean give Double Duty to a product--using it for something it was not originally intended. I've used the Web Stamp to decorate my Easter eggs. And here I've used embossing powders as glitter for my pastel eggs. Stop by my blog for even more ways I've used Emerald Creek products to decorate my Easter eggs. If you own stamps, getting double duty out of them allows you to get more out of them. 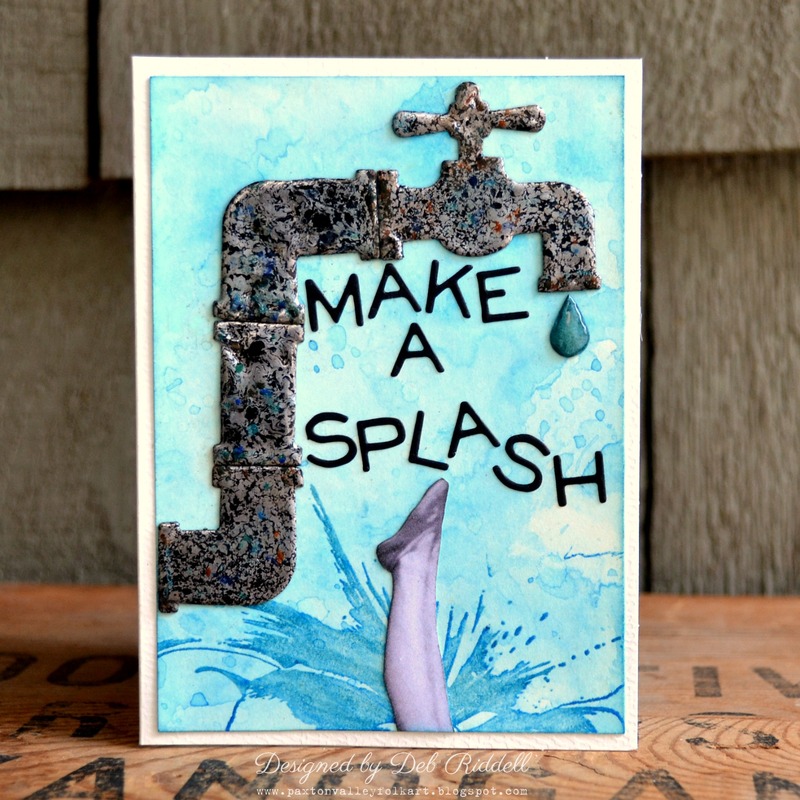 By creating a variety of ready made cards on the front, with a sentiment and image that can take on double duty, allows you to be ready to personalize it with the required occasion on the inside at a moment's notice. 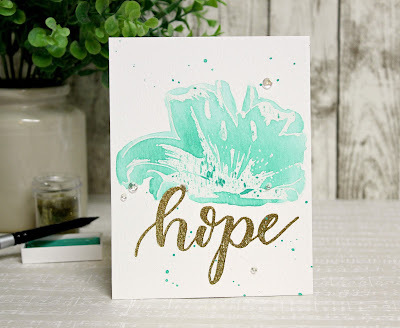 My "hope" card fits the bill. The inside sentiment can be for a 'thinking of you' type card with a sentiment like... "... you have a great day!" .... or a birthday sentiment like... "... your day is as special as you!"... or even a get well soon type sentiment... "... you are better soon!". And there you have it, just like that you can get double or even possibly triple or quadruple duty with the right combination of stamped image and sentiment. I am really excited about this month's Dare and to see how it inspires people with their interpretation of double duty. 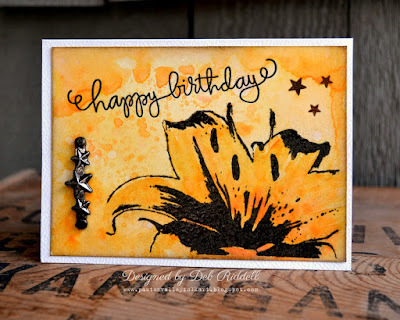 Be sure to visit my blog for how-to info and three other card versions using the Tiger Lily and Hope stamps. 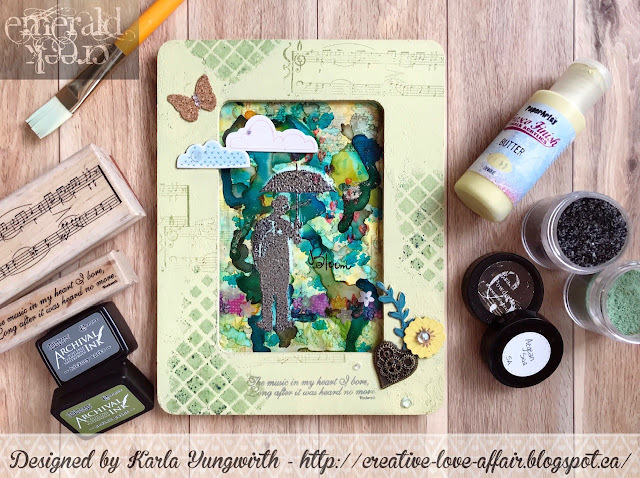 'Splatter Some Fun' Dare with her Journal Play With Muses entry. Jackie, please email Kim at info@emeraldcreek.ca for your prize code.